CarGurus has 8,317 nationwide Town & Country listings starting at $550. It may not always get the respect it deserves, but Chrysler’s Town & Country midsize minivan packs a lot of bells and whistles onto its aging frame. And for 2015, the anticipated demise of Dodge’s Grand Caravan as part of a brand-wide Chrysler/Dodge shakeup means this lush people-hauler will shortly represent the only passenger van left in the Chrysler/Dodge/Jeep stable. Said shakeup reflects efforts by the perpetually struggling automaker to refocus Chrysler products toward the family and commuter market, with Dodge offerings to especially favor the sportier crowd. Anyhow, with the passing of its 30th anniversary and, consequently, 2014’s 30th Anniversary Edition, the venerable Town & Country offers a new entry-level trim, the LX, which joins the slightly up-featured Touring, the sporty S, the plush Touring-L and the re-monikered-for-2015 Limited Platinum. Otherwise, only minor changes are expected for the upcoming model year, including improvements to the touted Sto 'n' Go fold-flat second-row seats and some further tweaks to the surprisingly competent Uconnect infotainment system. Offered only with front-wheel drive (FWD), the 2015 Town & Country thus falls a bit short of Toyota’s Sienna with its available all-wheel-drive (AWD) configuration. Additionally, this latest Town & Country iteration remains lacking a certain refinement of ride and handling capabilities in comparison with its Japanese rivals, at least according to most reviews. 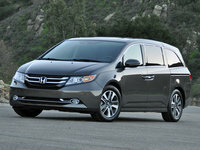 Nevertheless, the heady bells-and-whistles factor will doubtless continue to impress those looking for solid value in their minivan. Meanwhile, the peppy Flex Fuel (FFV) 3.6-liter V6 engine returns to power the 2015 Town & Country lineup and again mates with the ubiquitous 6-speed shiftable automatic transmission in putting out 283 hp and 260 lb-ft of torque. Mileage numbers are expected to remain 17 mpg city/25 highway, while towing capacity should return maxed out at some 3,600 pounds with the available towing package installed. Now for the good stuff! Even the new-for-2015 base LX trim offers such standard exterior adornments as 17-inch alloy wheels, a roof rack, auxiliary transmission-fluid cooling, heated power-adjustable mirrors and a power-opening rear liftgate. Complementing all that is a cabin that flaunts leather-trimmed upholstery, reclining Sto 'n' Go second-row bucket seats, full power accessories, cruise control and telescoping tilt-wheel steering. A rear-view camera should return for 2015, as should tri-zone climate control, standard rear-seat DVD entertainment, a remote garage door opener and Bluetooth hands-free calling. Furthermore, newly upgraded Uconnect voice command is expected to enhance the single-CD-player-dominated audio system with its 6 speakers, satellite radio, front and rear USB ports and a 6.5-inch touchscreen. 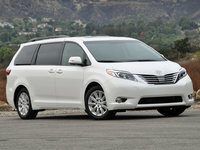 Should a higher trim be desired, look for such standard extras as heated power-adjustable front seats, heated second-row seats, a heated steering wheel, premium leather upholstery, remote engine start, memory for 2 drivers' settings, rear parking sensors and an auto-dimming rear-view mirror in the Touring and above trims. The renamed-for-2015 Limited Platinum, meantime, also throws a standard 506-watt, 9-speaker audio upgrade into the mix, along with a rear power-sliding passenger door and a standard voice-activated Garmin navigation suite. Options for the 2015 Town & Country lineup are slated to remain a power sunroof, rear-seat DVD entertainment and WiFi capability for smartphone apps via the upgraded Uconnect system, as well as the aforementioned trailer towing package with hitch and wiring, trailer sway control and an auto-leveling suspension. Additionally, available second-row bench seats increase seating from the standard 6 people to 7, while an available power-folding third-row seat can add a little more convenience to the stowage of groceries or luggage. Standard safety features, meantime, include the traditional 4-wheel antilock brakes (ABS) as well as traction and stability control. Of course front side-mounted airbags return, as do 3-row head airbags, while daytime running lights and a post-collision safety system also remain standard to all trims. The 2015 Touring and higher trims additionally tote standard front fog/driving lights, with the Touring-L and Limited Platinum also boasting standard turn-signal-integrated mirrors and a remote antitheft alarm. Finally, the top-shelf Limited Platinum tosses high-intensity-discharge (HID) headlights onto the pile of standard safety equipment. 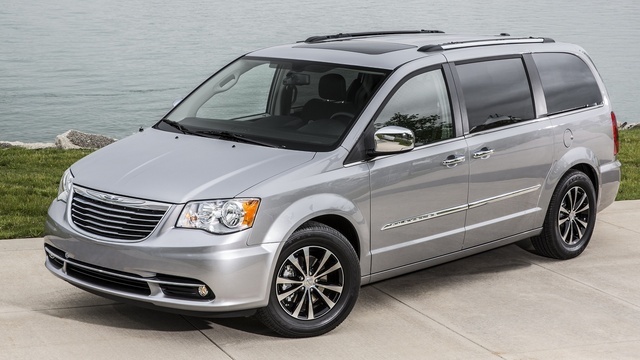 What's your take on the 2015 Chrysler Town & Country? 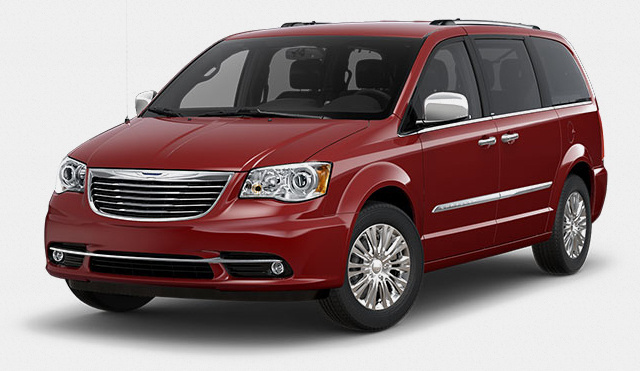 Have you driven a 2015 Chrysler Town & Country? My 2015 Chrysler Town And Country GPS Has Stop Working. How do I remove the overhead console in the 2015 Chrysler Town and Country? I can't seem to take it apart because I need to replace the video cable for the DVD player.